Challenge/Background: Vita Coco required a logistics partner that instilled total confidence and enabled it to focus on its brand, not transportation. Navigating a fast-growth market segment, they needed a 3PL that could scale alongside them and provide ongoing supply chain consultation. Results: Zipline Logistics has successfully grown together with Vita Coco, expanding to meet domestic transportation and drayage needs. Vita Coco now cuts down on overhead costs by funneling logistics through its customer service department, relying on Zipline Logistics to properly handle transportation and identify new optimization and savings opportunities. 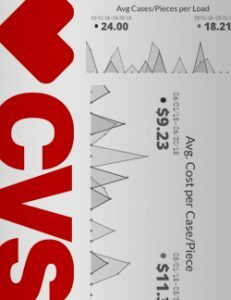 Challenge: Evans Food Group was charged with identifying proactive ways to cut costs and improve efficiencies throughout its supply chain. Goals were set to minimize use of LTL, lower landed costs, increase overall production efficiency, improve dock utilization, and allow for more flexibility. Results: Solution consultants at Zipline Logistics developed an on-site order consolidation program that successfully reduced LTL utilization and lowered landed costs per pallet by 20%. Adoption of a managed transportation solution and EDI order tendering technology also enabled Evans Food Group to greatly improve internal efficiencies and gain more visibility into its supply chain. Challenge: As a growing beverage brand, Hoist needed to scale its transportation strategy and engage a logistics partner that could provide guidance on how to meet retailer demands. 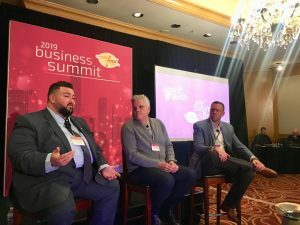 Results: Hoist leveraged Zipline Logistics’ beverage transportation expertise to meet retailer requirements, cut transportation costs, and grow its network. By engaging an experienced 3PL partner, Hoist no longer had to worry about scheduling product pick-ups or deliveries and could instead focus on growing its brand. Challenge: The growing beverage brand was entering new retail markets and facing common issues associated with securing new shelf space. When their new customer began purchasing small quantities of product to test sell, the brand was breaking even on their orders due to the cost of transport. Results: Zipline Logistics leveraged its proprietary shipper intelligence tool, KanoPI, to show the beverage brand that once began to order even slightly more product their costs would come down. By isolating critical metrics in KanoPI and renegotiating order minimums, they were able to remain with and ultimately achieve long-term profitability with the retailer. Challenge: The brand was experiencing reoccurring delivery problems and rejected orders at Walmart. This caused freight to be late, extra paperwork, and the potential for costly fees related to retail vendor compliance failures. 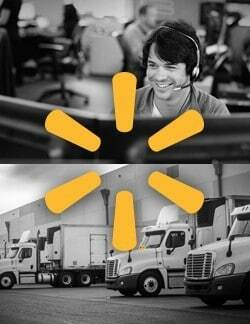 Results: Zipline took over management of Walmart deliveries. Solution consultants identified proactive ways to rework delivery appointments, optimize dues dates, and book more reliable transportation, ultimately improving the brand’s vendor performance. Challenge: Overseas offices were shipping product out-of-network, which led to an accumulation of unnecessary costs and complications. 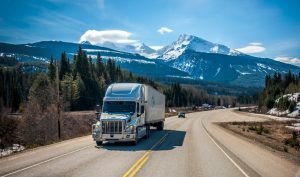 The organization required more visibility into its U.S. supply chain to proactively identify opportunities to cut transportation spend and avoid service issues. Results: Zipline Logistics leveraged its shipper intelligence tool KANOPI to identify $1.2 million in transportation savings for its customer. Consultants identified trends within data and found specific shipments that were driving up transportation costs. With inefficiencies isolated, they optimized modes and altered warehouse locations to achieve a 30% increase in network efficiency.